The Eurodisc Cosmopolitan sink tap has a practical standard outlet and comes with a handy pop-up waste for easy opening and closing of the drain. The tap has been equipped with energy saving options, such as the GROHE SilkMove ES, an energy saving function which, when the handle is in the centre position, only gives cold water. In addition, the GROHE EcoJoy flow limiter ensures that you consume a maximum of 5.7 L / min . And that's good for the environment, but also for your wallet. 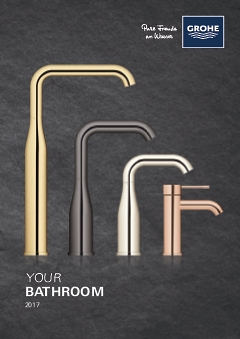 The tap is easy to maintain thanks to the durable GROHE StarLight chrome finish. Wiping with a soft cloth will do. And thanks to the GROHE QuickFix Plus quick installation system, the tap is installed in a jiffy.